Did you laugh at my attempt at Spanish? If you have no idea what it means, it’s Spanish for ‘My house is your house’. 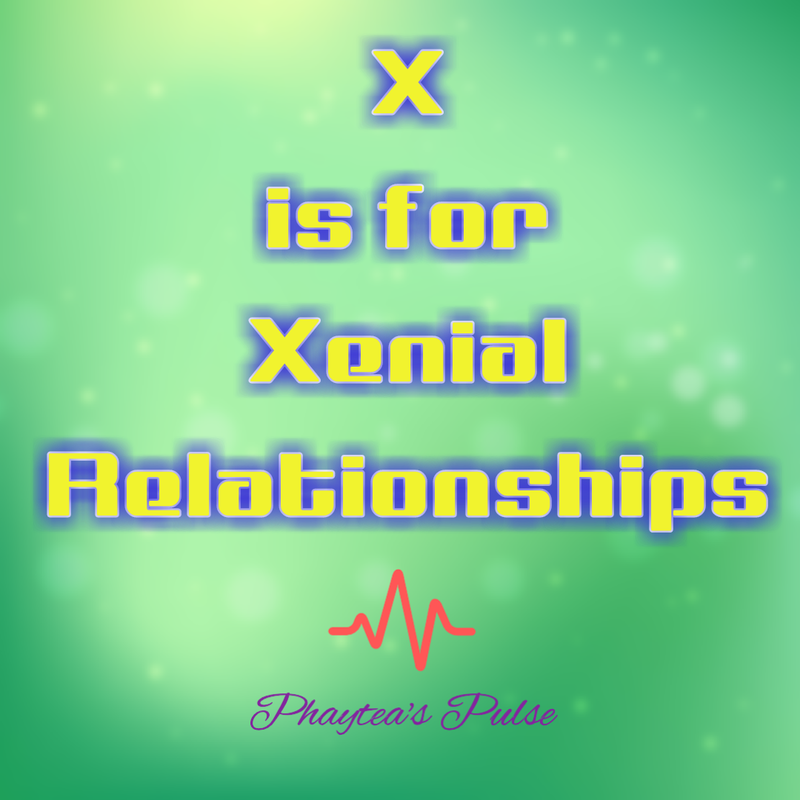 And yea…we are talking Xenial Relationships for entry X. ‘Xenial’ on its own relates to the hospitality between a host and guest. I’ll first like to point out that hospitality should not be directed to only people we know. There are cases where we treat strangers with disdain but it is advisable to be fair to everyone because you never know where or when you will need their help. Having a Xenial Relationship with people is basically being warm, receptive and friendly. In two words, it is just ‘being hospitable’. There must be some gesture towards people that make them relax in your company. In Nigeria, especially the Eastern part, the host of a ceremonial occasion makes kola nut available to signify peace and show hospitality to the guests. Kola nut is very symbolic amongst Eastern tribes and presenting it to guests is a gesture that shows they are welcome into your home. This does not in anyway mean ‘kolanut’ must be presented to guests. Depending on the occasion, one can decide to substitute ‘kola nut’ for water, juice, food or whatever is available. Basically, it is just the gesture that counts.Offering refreshment to your guest is a popular way of showing hospitality. A xenial relationship is important for meaningful living especially as we really should treat others the way we want to be treated. We do not necessarily need to have guests in our home to be hospitable. We can make people comfortable outside our homes too. Offer to listen to someone unburden their problems. This gesture can help those being depressed. When you invite people over, have something to offer them. Take out time to visit an orphanage bearing gifts and help the less privileged people. Grab an extra bite for a friend or colleague. Invite friends for a hangout. In what ways do you exercise a xenial relationship with strangers? This is a much needed read. I think the world is becoming more impersonal by the day people seem to have forgotten the basics of being warm to guests. Nice read. Our parents always had something for anyone who stepped in our home, be it water or tea. I will visit a home for the needy or orphaned to practice xeniality. I pretty much do most of the rest. Being welcoming is so important. I am very shy so being included in someone’s plans shows how thoughtful they are. Hospitality for me means to provide bed and food for someone in need. I love this! I’m all about hospitality. I love hosting parties. For me hospitality means lots of food and warm conversation. Good tips especially when you need more friends. Previous Post Will write for …….